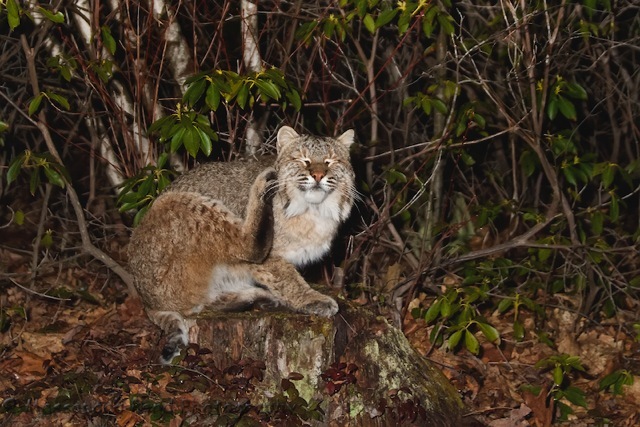 Evening folks…I have spent more time trying for bobcat photos than any other critter here in New England. I do feel fortunate to have photographed them a few times. 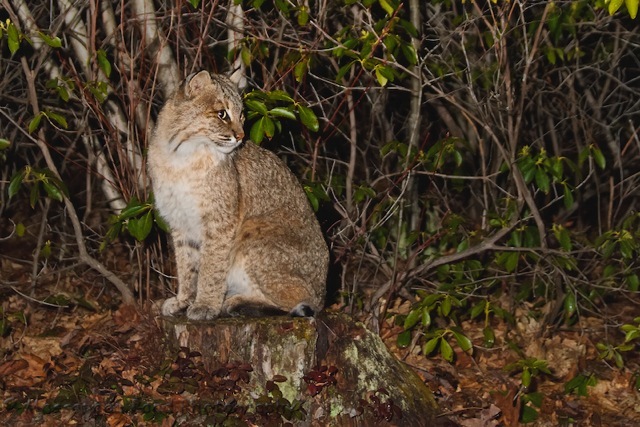 I still want to photograph one with some fresh snow on the ground, maybe this is the year…..
Evening folks…I had another good night with the remote camera photographing a bobcat. 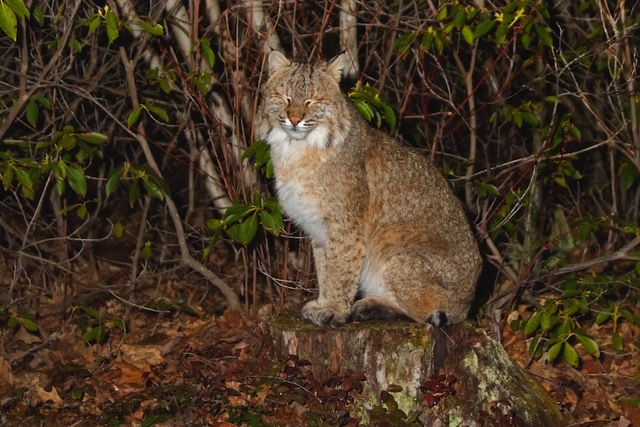 This is a rather large cat and I'm hoping it's a male coming in to mate with the local female. 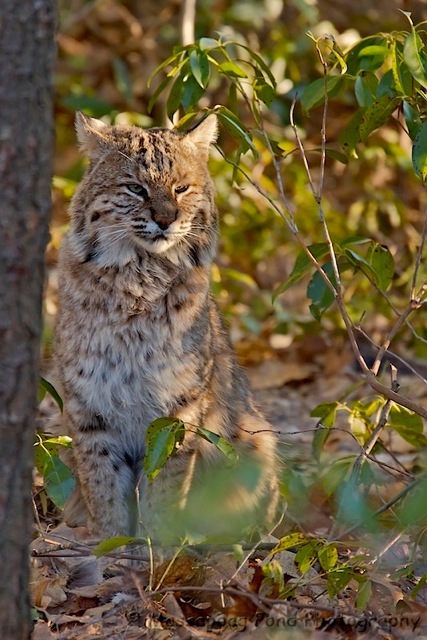 I would love to have the chance to photograph some kittens this year…. 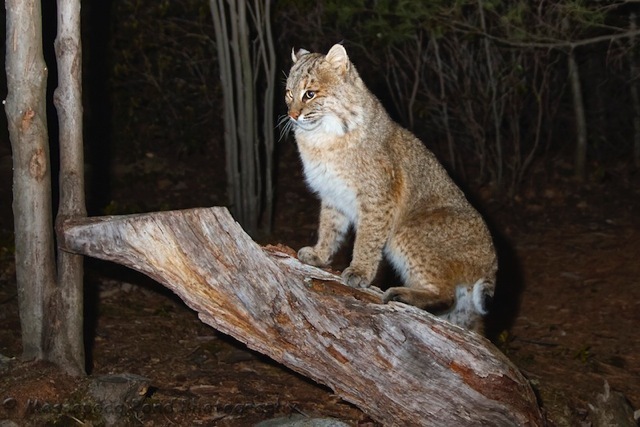 Evening folks…I haven't had much luck photographing the Bobcats this year as they have been active when there is no light to photograph them… So I designed and built a remote camera setup (Camera-Trap) to try to photograph them at night. 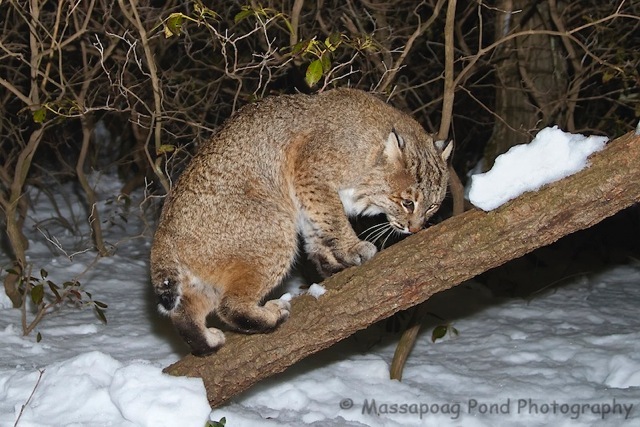 On Friday at 9:42 PM I captured this cat smelling Bobcat urine that I had placed on this log to attract them. Needless to say I'm very satisfied as how well the system worked…. National Geographic has been using systems like this for years to capture elusive critters.